The mold issues in winter weather can actually be quite severe. Combine the warm, often unventilated indoor air and sources of moisture and you could have a potentially toxic combination. While only some strands of mold are toxic, you still want to get rid of the harmful spores, because it could cause structural damage inside your home. It is also important to learn how the winter weather encourages the growth of mold, because that is one of the only ways to prevent it. The last thing you want is a mold outbreak, because hiring a specialized abatement team to remove the mold can be expensive and time consuming. 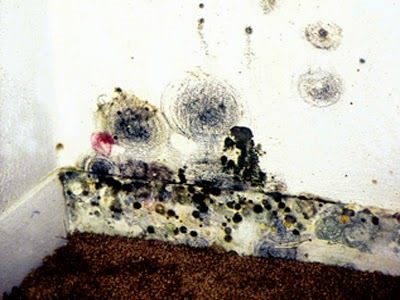 Here is how the winter weather impacts mold growth in your home. One of the easiest ways for winter weather to create mold growth is through leaks in your home - otherwise known as energy leaks. If you have older windows, you may experience an issue with condensation as the cold outdoor air meets the warm indoor air. This condensation can start to cause mold spores to grow around your window frames - the mold can then continue to grow around your windows and spread to the rest of your home. This is why it is important to find these leaks and then seal them. Another way for winter weather to cause mold in your home is through leaks in your roof. Leakage in your roof can be frustrating, because it can be hard to find the source. In most cases, the source is located in your roof - you may have a fracture in one of the main panels or you may have something more serious going on. For instance, if your attic isn't insulated, it can cause the warm air from your heating system to rise and melt snow and ice on your roof. This can cause saturation and the moisture can leak into your home. This is why you may want to think of adding insulation. Next, you may also be experiencing moisture from overflowing rain gutters. In especially torrential rainstorms, the rain can spill over and into your home. This is why it is so imperative to clean out your rain gutters before the winter weather starts to pick up. Even snow can become a problem, because it pack densely in your gutters and melt. So, be sure to remove a much leaves, branches and other obstructions, because it will ultimately free up a major headache later on down the line. In the end, the winter weather can encourage mold growth in a number of different ways. Mold is a serious issue, because even though not all strands can cause negative health conditions - it can still be a nuisance. Mold can disrupt your quality of life in a number of ways - it can smell, it can cause peeling paint and other structural weakness, and it can be expensive to get rid of. So, it is critical that you remove all the issues that could cause mold - this is your best defense and the best way to prepare your home for the winter.